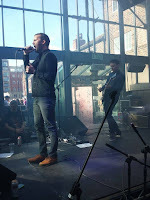 Winning over new fans with every song, and delighting the faithful, The Slow Readers Club return to The Crystal Stage at the Tramlines Festival. The Crystal Bar is absolutely mobbed when we arrive to witness The Slow Readers Club. A successful slot last year secured a return booking. Having browsed the popular Sheffield venue's schedule for the two days, The Slow Readers Club are possibly the only band from last year to return. They have grown in stature since last summer's memorable appearance. Their fan base has swelled considerably and everyone down the front at this evening's performance sings along to every word of every song. The set features no fewer than seven tracks from the recent Cavalcade LP and gets underway with the storming Start Again. There's no looking back with each and every tune a classic. 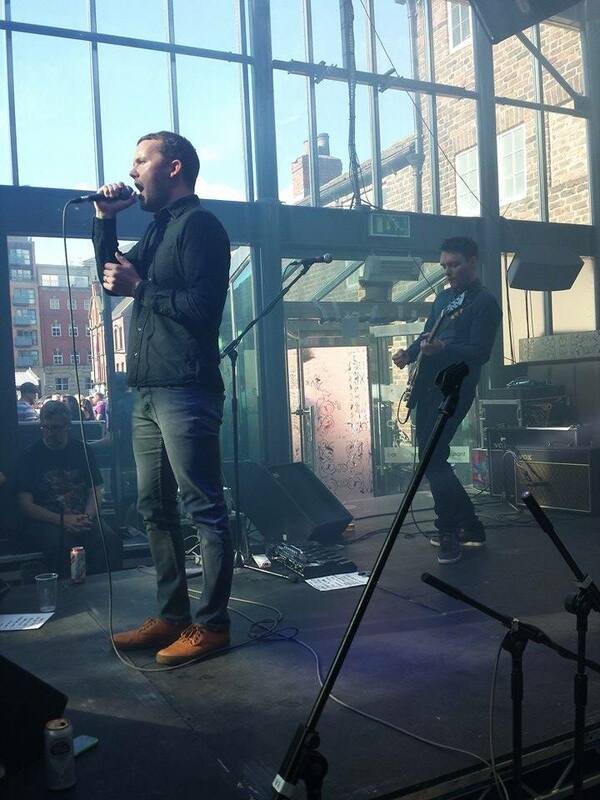 Debut single Sirens never fails to hit the spot and sounds as fresh as ever. Jim Ryan's pounding Rickenbacker bass coupled with David Witworth's infectious drumming see to that. 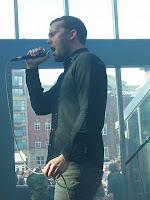 Vocalist Aaron Starkie is in fine voice this evening and the band power through Forever In Your Debt, the stunning first single from Cavalcade that gained the band much acclaim on release back in 2013. Don't Mind sees Starkie at his most heartfelt. The crowd are suitably impressed before the upbeat electro of Plant The Seed. A delightful poptastic tune which is a real favourite of many fans. Guitarist Kurtis Starkie must surely be ranked up there on the list of great British guitarists - his subtle, confident riffs are a joy to listen to. No more so than on I Saw A Ghost. 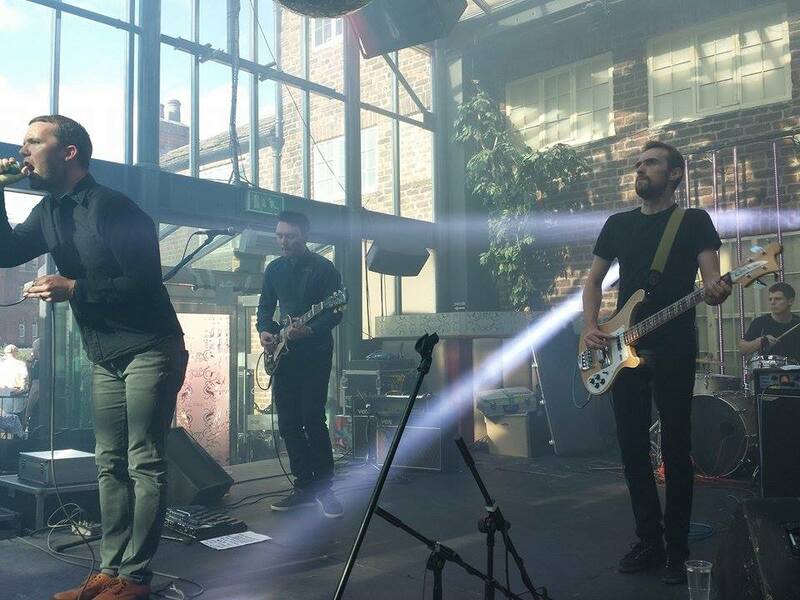 Feet on Fire, one of the oldest songs in the set tonight is delivered with a commanding ferocity of a band at the top of their game before the beautiful Know The Day Will Come brings their stunning set to a close. Their merch man is even selling discs to their new fans before the band have even finished playing. Job done.